An elegant app to help you pray by using scriptures! The Knock app is available on iOS Only! Download and see how scripture can enable you to go deeper with God! How Can An App Actually Help You Pray? With a focus on scripture meditation, my hope if that it will enable you to properly align your heart to the truth of God's Word. This app comes complete with a full ESV Bible reader. 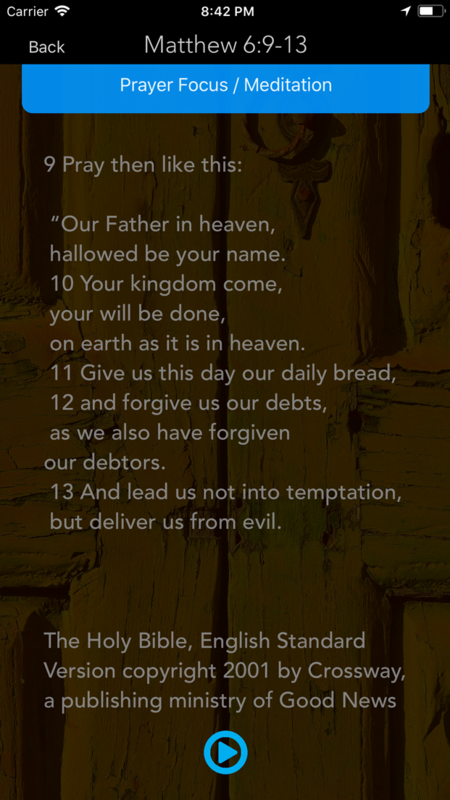 Springboard into prayer using the Daily Passage, Psalms, The Lord's Prayer or any other scripture. 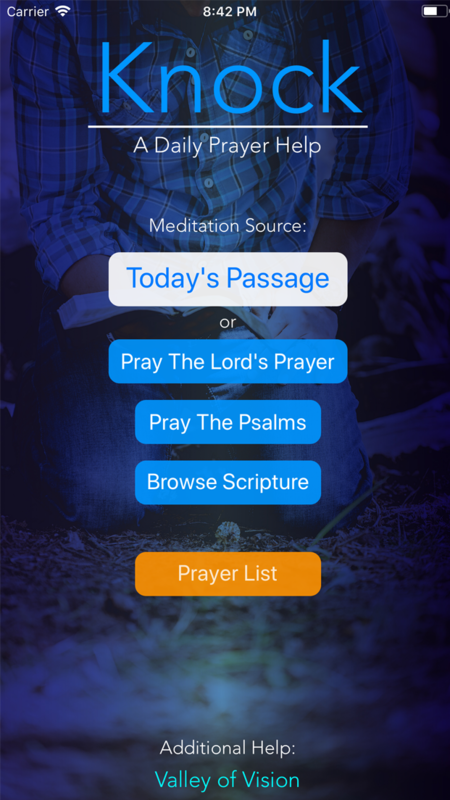 The app automatically cues up the audio for every passage to enable you to learn from hearing and respond to the Truth. Knock not only helps you pray, but helps you keep track of items for prayer. You can also see how God has been faithful to answer your petitions in the past.